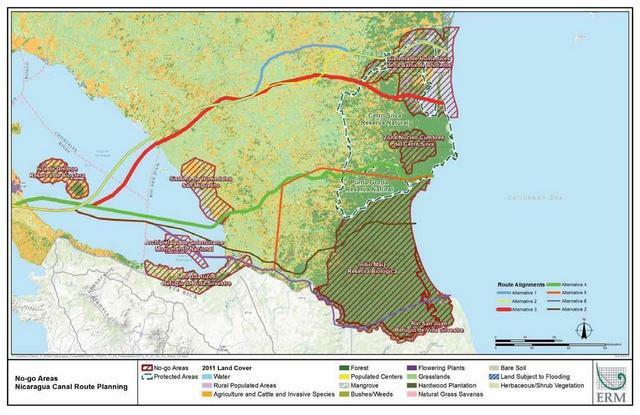 MANAGUA, Nov 3 2015 (IPS) - The international scientific community’s fears about the damage that will be caused by Nicaragua’s future interoceanic canal have been reinforced by the environmental impact assessment, which warns of serious environmental threats posed by the megaproject. The report “Canal de Nicaragua: Executive Summary of Environmental and Social Impact Assessment” was carried out by the British consulting firm Environmental Resources Management (ERM) and commissioned by the Hong Kong Nicaragua Canal Development (HKDN Group), the Chinese company that won the bid to build the canal. The 113-page executive summary sums up the study, whose unabridged version has not been made publicly available by the government, ERM or HKND. In the study, ERM says the megaproject could be of great benefit to the country as long as best international practices on the environmental, economic and social fronts are incorporated at the design, construction and operational stages, for which it makes a number of recommendations. But it spells out specific risks and threats to the environment in this impoverished Central American country of 6.1 million people with a territory of 129,429 square kilometers. 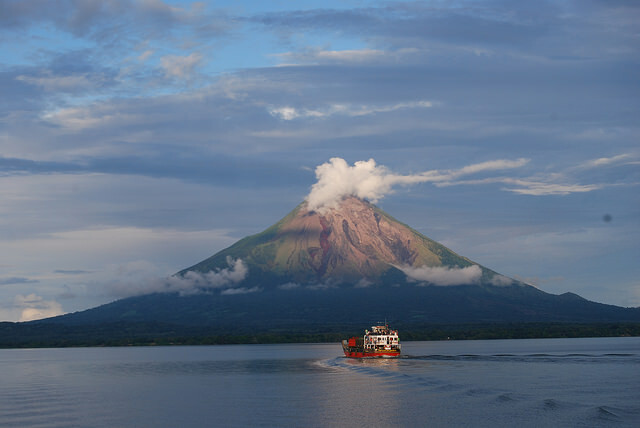 The canal will go across the 8,624-sq-km Lake Cocibolca, also known as Lake Nicaragua – the second largest lake in Latin America after Venezuela’s Lake Maracaibo. The route will be nearly four times longer than its rival, the Panama Canal. The 276-km canal will link the Atlantic and Pacific oceans; of that length, 105 km will cross Lake Cocibolca. Salvador Montenegro, former executive director of the Aquatic Resources Research Centre of the National Autonomous University of Nicaragua (CIRA/UNAN), stressed that the executive summary suggests additional studies on Lake Cocibolca, to fully assess the risks to the environment and to recommend actions to mitigate them. The scientific researcher was dismissed from his post in the university allegedly due to pressure from the government of left-wing President Daniel Ortega, in office since 2007, who backs the canal project driven by the government investment promotion agency, Pro-Nicaragua, headed by his son Laureano Ortega. Now Montenegro forms part of the Grupo Cocibolca, a group made up of scientists, academics, environmentalists and activists openly opposed to the future canal. Mónica López, an activist who belongs to the group, summed up for IPS the main findings in the ERM study which she believes make it clear that the project would open the doors to an unprecedented environmental catastrophe for Latin America. She said ERM concluded that neither HKND nor the government have the experience to carry out a project of this magnitude. Based on the ERM executive summary and the considerations of local and international scientists and other experts, the Grupo Cocibolca sent a letter to the president on Oct. 26 asking for the repeal of the law that made the canal project possible. Ortega has not responded. But HKND, through its officials outside of Nicaragua, announced further studies with a view to moving ahead on the project that will have a projected cost of 50 billion dollars – the largest megaproject that the world has seen in the last few years. According to Wild, the studies that began to be carried out in 2013 will continue until 2016 and will be complemented by additional topographic and hydrological research, to be conducted by the Australian consultancy CSA Global. The executive vice president of HKND Group, Kwok Wai Pang, told the local newspaper El Nuevo Diario that now that the ERM study has been presented, “more in-depth studies will be carried out along the route. Telémaco Talavera, spokesman for the president’s Great Interoceanic Canal of Nicaragua Commission, downplayed the concerns expressed by ERM and environmentalists. But despite the government’s and HKDN’s upbeat attitude about the project, it is overshadowed by factors other than environmental issues. On one hand, specialised media outlets reported in September that because of China’s current financial crisis, HKND magnate Wang Jing had lost as much as 84 percent of his fortune, previously estimated at more than 10 billion dollars, which has shrunk to some 1.2 billion dollars. On the other hand, growing resistance by peasant farmers along the projected canal route has hurt the international business climate for the company, according to López, the activist. So far, 55 demonstrations against the project have been held in Nicaragua. 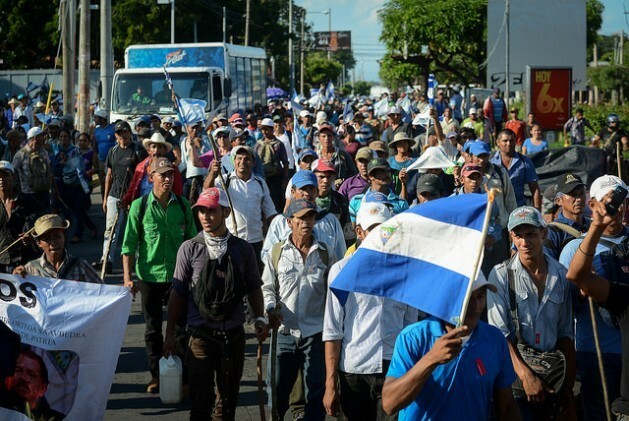 The latest, held Oct. 27 in Managua by rural residents from different parts of the country along with other protesters, made the international headlines because of the violent clashes between the demonstrators and supporters of the megaproject. In its executive summary, ERM says the social opposition affects the project’s viability. So far, the government has given HKND permission to expropriate 2,909 square kilometres of land along the projected route. The canal law was approved in 2013. But small-scale work on the project along the Pacific Ocean did not officially get underway until December 2014. HKDN projected that the work would take five years, and the canal would be operating in 2019. But ERM predicts that it will not meet that deadline.